Let's be honest. Some audiobooks that kids love to listen to can be the most insipid and annoying stories we adults have ever heard (or forgotten, as it were). 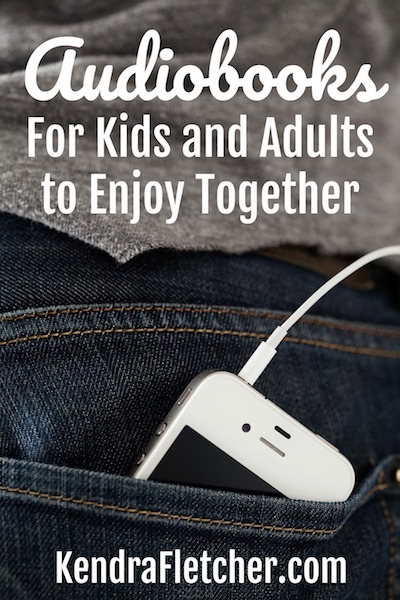 Are there audiobooks that can truly be enjoyed by both adults and children? Yes, of course! We've put in a good 25 years of audiobook listening with our kids so far, and I thought it was time to share our favorites with you. These are affiliate links below (thanks!) but we often find what we love to listen to from free sites like HooplaDigital and Librivox. There are plenty of classics and options for older kids that are enjoyed by both both parents and teens. I'm choosing not to create a list here in the interest of time, but am happy to help with specific suggestions. What's your family's favorite audiobook? I only send the good stuff about once per week. Sometimes less. Usually never more.